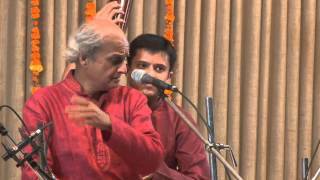 Gaud Malhar (Drut Bandish and Tarana) by Pandit Ulhas Kashalkar at Jitendra Abhisheki Mohotsav Goa. Pt. 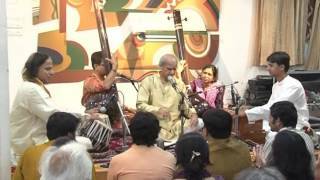 Ulhas Kashalkar performs Raag Jaitashree at FEA's 4th annual Diwali Concert Series at YB Chavan Centre on Sunday 1st November 2015. 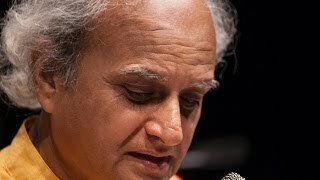 He is accompanied by Suresh Talwalkar on tabla, Sudhir Nayak on harmonium, Aditya Khandwe on tanpura and supporting vocals and Pandurang Deokar on tanpura. Pt. 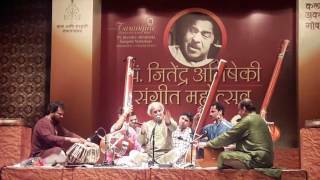 Ulhas Kashalkar concluded his performance at the FEA Diwali Concert Series 2015 with Tarana in Raag Bhairavi. Aditya Khandwe on tanpura and supporting vocals and Pandurang Deokar on tanpura. 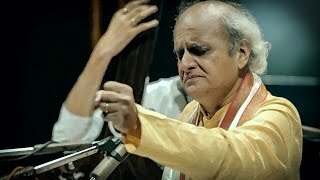 Raag Lalit by Pandit Ulhas Kashalkar-pt-2 live on Doordarshan TV. On Harmonium is Pt Purushottam Walawalkar & On Tabla is Pt. 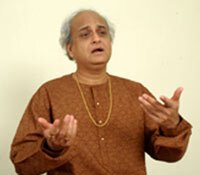 Yogesh Samsi.